Entering the white tent near Usdan on the afternoon of Sept. 7th didn’t seem like the greatest idea with the massive group of students huddled together, and the cacophony of voices. Despite that, eager-eyed first years came across smiles, colorful posters, and potential passions as they walked down the rows of tables. The University hosts a diverse group of students. Around 15 percent of the student body is comprised of international students. With groups such as the Korean Students Association, the Chinese Cultural Club, and the African Students Association, people from different backgrounds can not only connect with people from their culture but also get the opportunity to share their unique culture with all members of the University community. Medha Swaminathan ’19, who was representing Shakti (The South Asian Student Group) spoke about how, since its revival in 2010, the group has been like a huge family that enthusiastically organizes Holi (a Hindu spring festival originating from India) and soon will be performing their annual culture show Samsara featuring South Asian dances, songs, and music. There were also many sports clubs at the fair. From the Equestrian club to the soccer club, the list of opportunities was endless. Eddie McCann ’19 spoke about how club tennis was formed. “The club has organically grown from consisting of one girl who dropped out of the varsity team to currently needing tryouts due to the huge interest,” said McCann, captain of the club tennis team. For those interested in Ultimate Frisbee, Miriam Bernard ’19 represented Throw Culture, the all-gender frisbee team this year. Though they have practices and play tournaments, the best part of the team is that it truly represents the University’s welcoming nature. Being a gender-neutral team, it provides a common sports platform for students regardless of their gender identity and ensures no one has to join a team where they might feel they don’t belong. As you walked by the tables you would’ve noticed that it is not only the University’s sporty and artsy sides that were represented, but also the community’s caring and thoughtful nature. 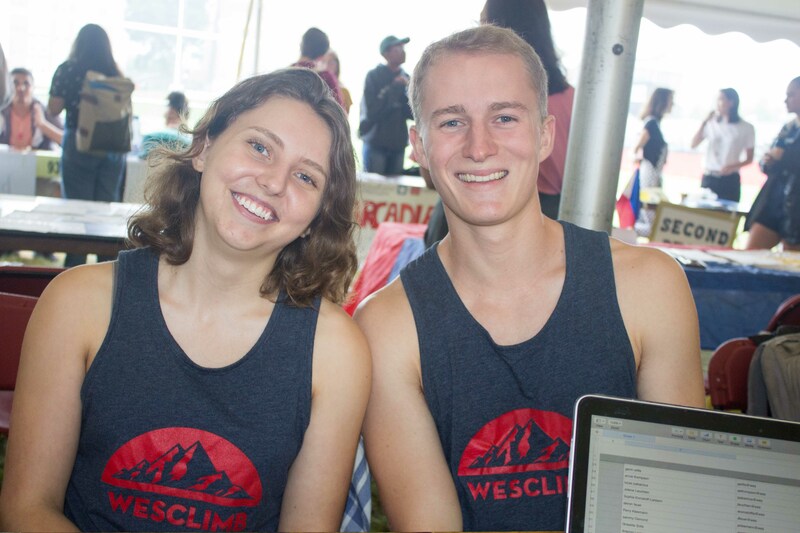 Sam Linde ’20 started WesWhales last semester when he noticed there was no group dedicated to marine conservation on campus. He was inspired to do so after his experience whale watching. 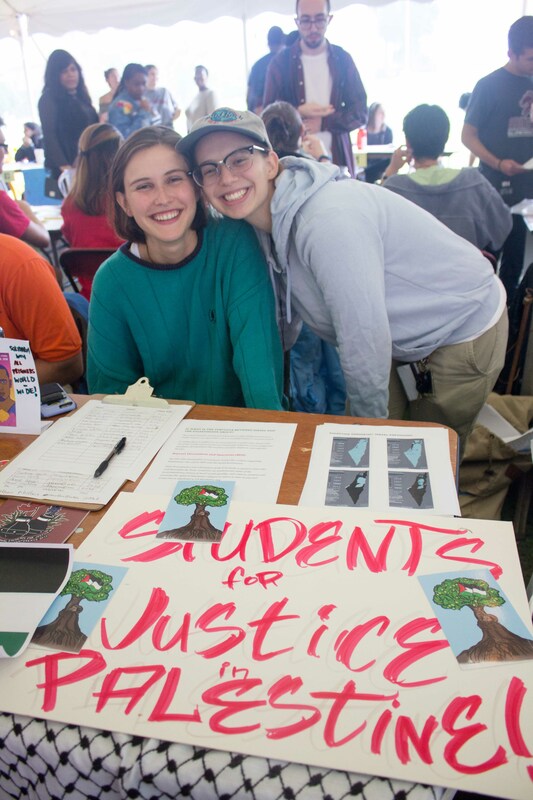 The organization is working to educate the University community about leading more sustainable lives and raises funds for whales. Documentaries such as “Chasing Ice” will be screened, and the club is also working with the New England Aquarium to get speakers to come to campus. Clubs such as these are especially relevant during this era of global warming and climate change. “Being a part of the club for me means being a better person,” Linde said. Another organization dealing with an important global issue is the Wesleyan Refugee Project (WRP) that is supporting the Connecticut refugee community and raising awareness of this worldwide issue. “[Joining WRP] is the best decision I ever made,” Libby Salzman-Fiske ’19 said. If writing is your passion, you must have checked out Wesleying. Started in 2005 by Holly Wood ’08, it is an independent blog that discusses all things Wesleyan. This can sometimes lead to negative comments, but that doesn’t deter its writers. 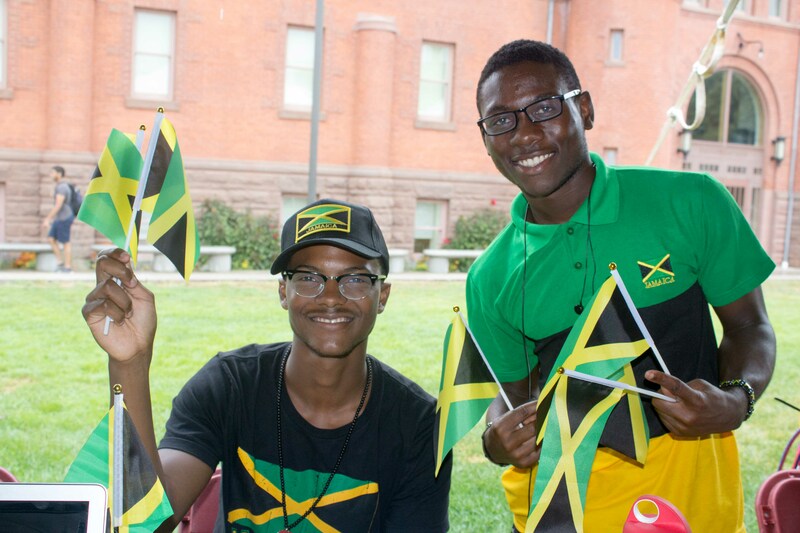 The club fair truly demonstrated the multifaceted personalities at the University. No matter what your interests and talents are, you would’ve found the groups you were looking for at the vibrant and buzzing club fair. Tanvi Punja can be reached at tpunja@wesleyan.edu.